Ubuntu People is a campaign designed to stimulate conversation between the young and old, about capitalism, global inequality and the role of business in society. It presents a chance for the leaders of tomorrow to send a clear message to the business and political leaders of today. This week we spoke to Keith Bete – Co-Founder of the South Africa-based Ubuntuism streetwear line, Branson Centre entrepreneur, and ambassador of this year’s campaign – about how adopting an ‘Ubuntu’ business philosophy can have a positive impact on your business. Tell us about Ubuntu and its importance in African culture? Ubuntu is an eternal African philosophy of 'Oneness' – this oneness is an understanding of the interconnectedness of all life. A golden thread of goodness connects all life from the lowest creature to the highest, this golden thread of goodness is commonly known as love i.e. Ubuntu. Ubuntu means love, truth, peace, happiness, eternal optimism, inner goodness, etc. Ubuntu is the essence of a human being, the divine spark of goodness inherent within each being. From the beginning of time the divine principles of Ubuntu have guided African societies. How one interacts with other human beings, nature, or The Creator, Ubuntu was and still is the guiding principle. Ubuntu is extremely important in Africa and the world at large – as the world needs a common guiding principle of human values. Ubuntu is the core of human values and without Ubuntu mankind is enveloped by greed, selfishness, immorality, pride etc. How has living the Ubuntu way changed your life? Consciously embracing Ubuntu in the way I live, to me means being optimistic, courageous, self-confident and even-minded in all circumstances. Personally, it has made me humble in my approach to all things. I have been fortunate enough to have the opportunity to help spread the message passed down from ancient times, by philosophers of past generations, to my business partner Simbarashe Simbarashe. I am a vessel of this great philosophy and without it we all would be nothing, Ubuntu is that thing that makes us whole and complete, the 'U' in you. How can it help the world and business practices? 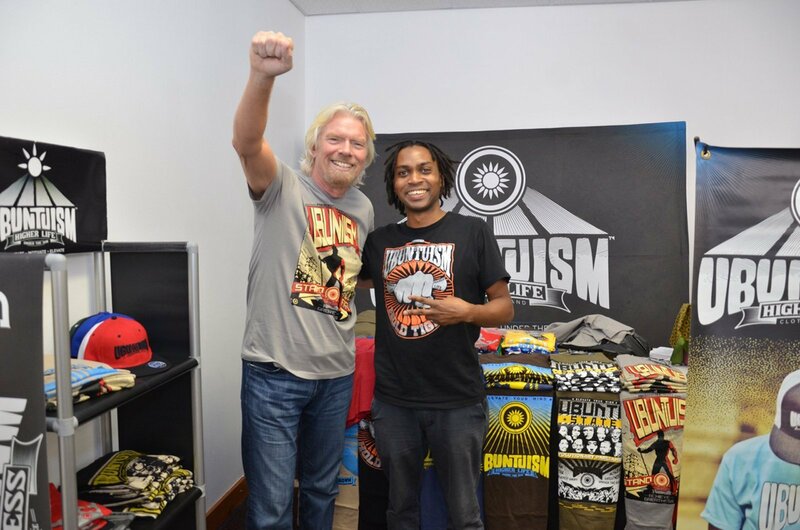 The next step for business worldwide is to embrace what I call 'Ubuntupreneurship'. I see it as a hybrid of social entrepreneurship and capitalism 3.0 – what Richard Branson called business as a force for good. Ultimately, nature will lead us back to the core of living, which is the Ubuntu way of life. A life lived in reverence of one’s true self and that of others. We can already see it happening, simply by observing the way the world is embracing healthy living. Image courtesy of Sandhya Singh. How can entrepreneurs, big brands and organisations adopt Ubuntu teachings? Every organisation has a set of values that they abide by – I think it is generally human nature to do the best for oneself and one's organisation. But, true character is doing what you would do for yourself to others as well. This sense of accountability is much needed as it will eliminate a them and us attitude, which brings separation. Ubuntu brings a sense of oneness, the natural co-existence that is business. Consciously embracing Ubuntu in the way I live to me means being optimistic, courageous, self-confident and even-minded in all circumstances. Virgin Unite, Virgin Galactic and Virgin Mobile embraced Ubuntuism as we did brand collaborations with them on numerous occasions where we produced bespoke Ubuntuism products. This is a true act of Ubuntu when global brands within the Virgin family see a synergy with an African brand as they helped us gain lots of exposure nationwide and abroad. What brings us together with perfect synergy is the common goodness between our brands. What’s the one change you’d like to see in the world? We have started the Ubuntu Day of Oneness on October 10th, a day to celebrate inner goodness – Ubuntu. We have also initiated Ubuntu Month in November, a month in which we promote Ubuntu through partnering with social organisations that are doing good in their communities. I would like to see these two initiatives, Ubuntu Day and Ubuntu Month being observed and practiced internationally. The Ubuntu People campaign intends to stimulate ideas and conversation between younger and older generations about how to make the investment industry – and business more generally – a powerful force for good. To get involved and spread the word, visit the website here.